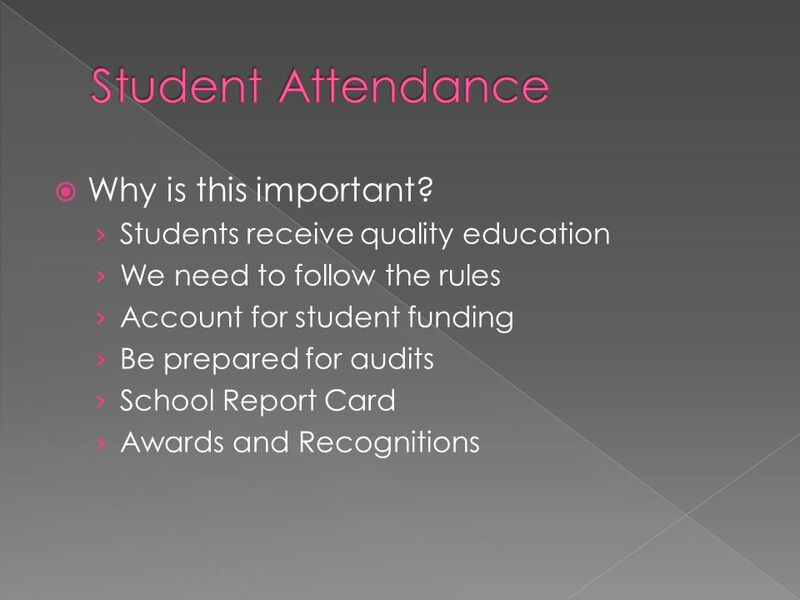 6 Student Attendance Why is this important? 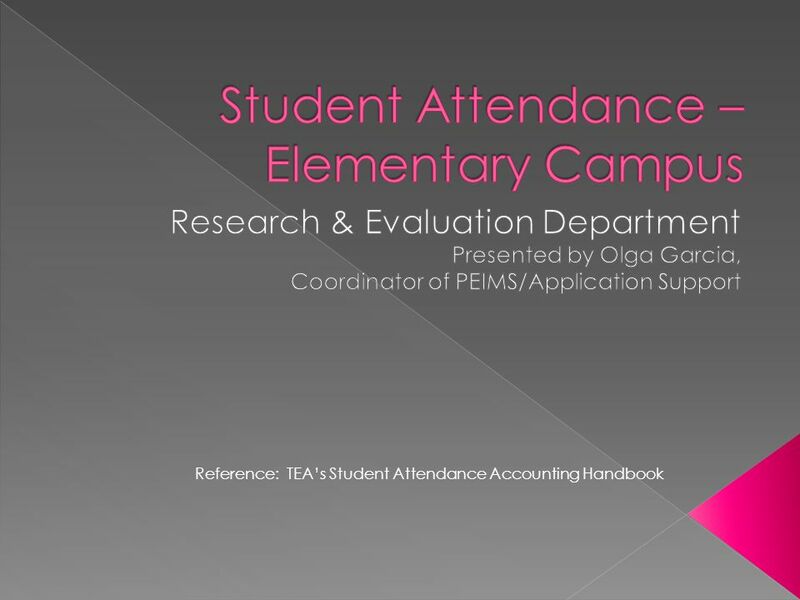 Download ppt "Student Attendance – Elementary Campus"
I NEED TO RUN MY 10 DAY CONSECUTIVE ABSENCE REPORT… A. WHEN SUZY, BONNIE OR MARY COME TO DO AUDITS. B. ONCE A WEEK. C. EVERY DAY. D. WHEN I KNOW A KID. OVERVIEW OF THE PURCHASING CARD PROGRAM Purpose of the card: Streamline the Purchasing procedures Simplifying a lot of steps (End user, Procurement and. GET YOUR ACT TOGETHER Are you afraid to open your Audit Box? Is it an auditors nightmare? Here are some tips on how to organize those auditable documents. 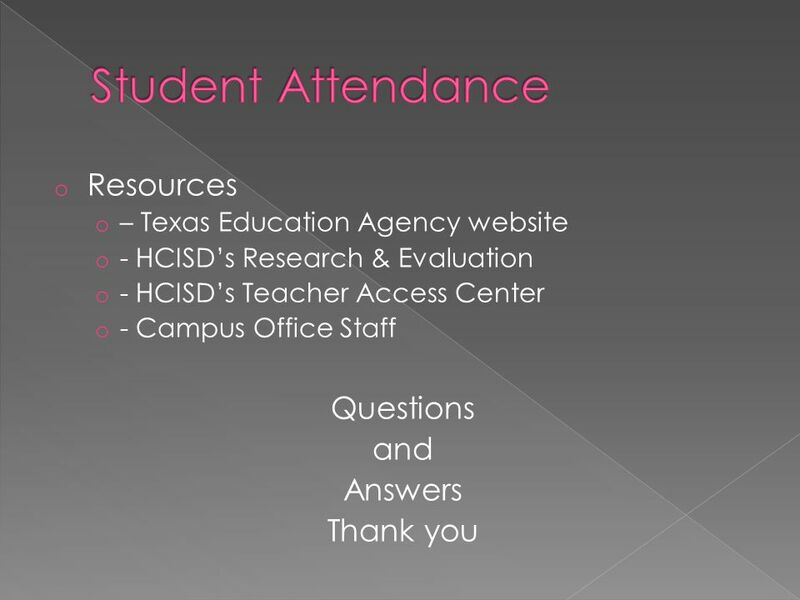 Infinite Campus: Parent Portal Training Jesse Rice Elementary September 18, 2014. Network Login Username Login not case sensitive, but password is Password changes Keeps history of last 3 passwords Must be alpha-numeric & or use upper/lowercase. Mrs. Arvay Mrs. Ferringer Mr. Harvey Mrs. Oates Welcome to Team Tiger Pride. Next slide End Show Thank You A diverse group of stakeholders: the school’s principal and parents, teachers, support staff, students*, and community. 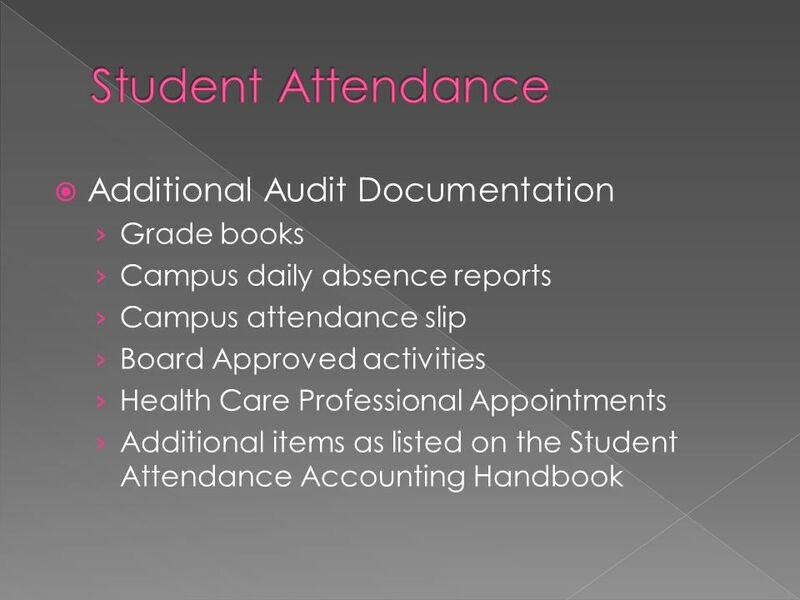 Office of Student Support Services An Overview of HIB Grades: Understanding the Self-Assessment Process & Data Entry Requirements Spring 2015. Welcome to MAT 170. Basic Course Information Instructor Office Office Hours Beth Jones PSA 725 Wednesday and Friday 10:40 am – 11:30 am and by appointment. Welcome to MAT 170. Basic Course Information Instructor Office Office Hours Beth Jones PSA 725 Tuesday and Thursday 8 am – 8:30 am Tuesday and Thursday. 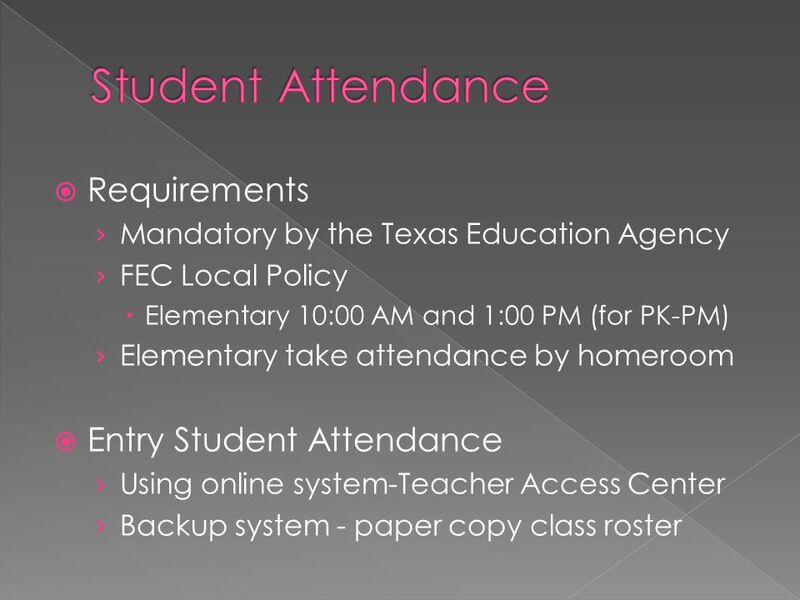 Secretarial Clerical In-Service August 17, What is InTouch? InTouch is a district wide cash receipting system for all cashiering activities. InTouch. 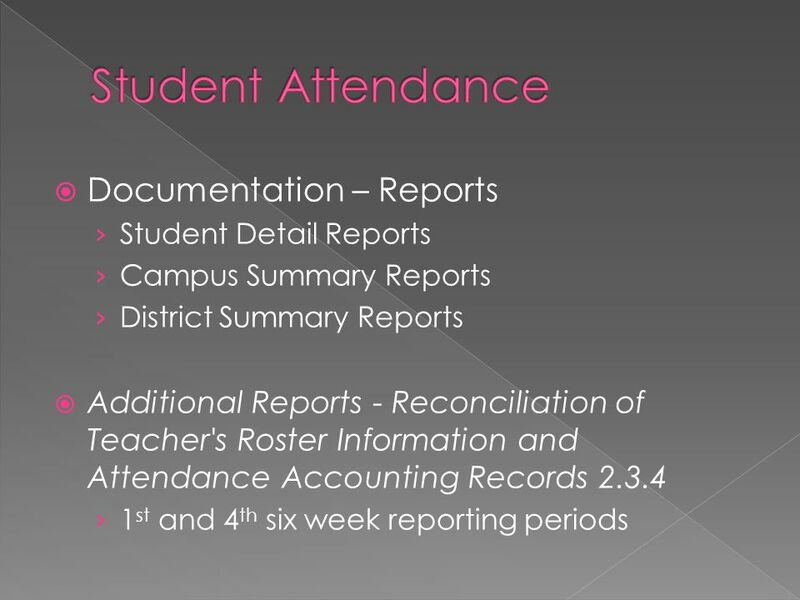 ATTENDANCE AND CONTRACTUAL RESPONSIBILITIES Robert Cuen. 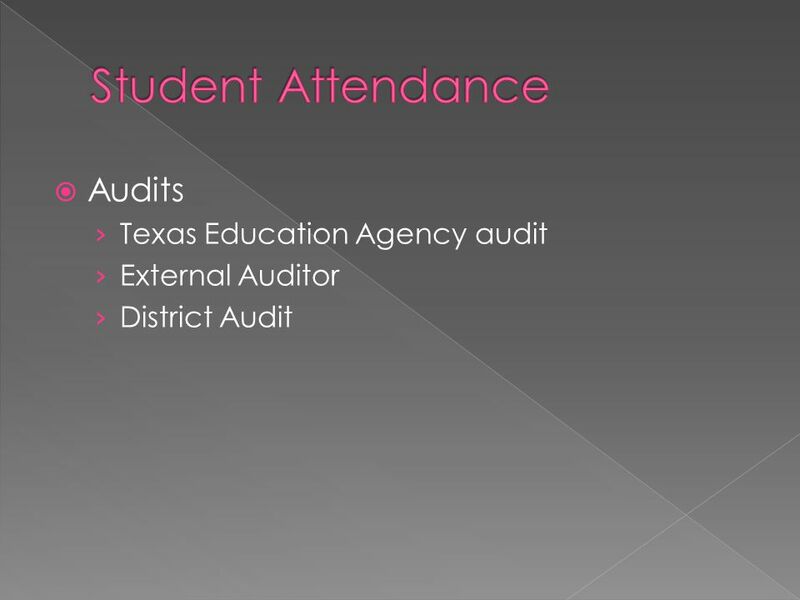 Nina Taylor Research and Analysis Division Texas Education Agency. 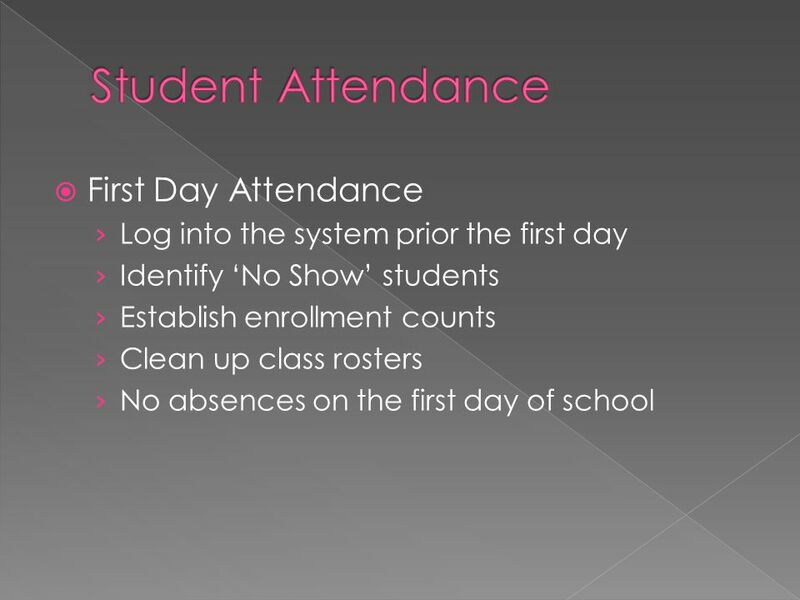 STUDENT ORGANIZATION TRAINING DEPOSIT FORMS Effective January, 2015. 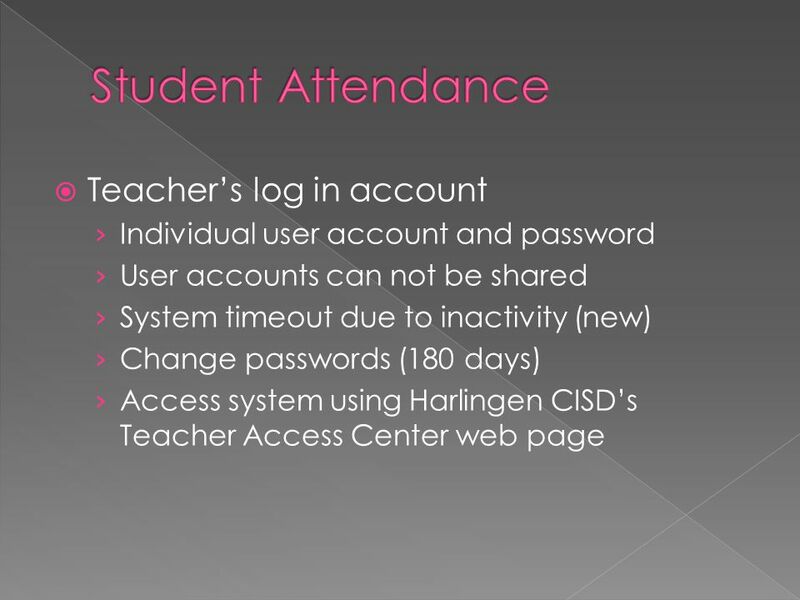 ESchool Connecting and Collaborating Virtually Any Time of Any Day.